If last week’s Doctor Strange teaser floored us with its Inception-esque CGI and mystifying spiritualism, it looks to be that there’s still plenty of wonderful weirdness in store for when the film launches in November. At least, that’s according to Marvel screenwriter Robert C. Cargill, claiming that we really only got “a small taste of just how crazy this movie gets.” Cargill also alludes to the fact that there are “major characters” that weren’t involved in last week’s snippet (read: Mads Mikkelsen’s big bad), ensuring fans still have plenty to chew over as they await the arrival of Benedict Cumberbatch’s Sorcerer Supreme. Word comes by way of the MCU Exchange (via CBM), who hosted an interview with Robert C. Cargill on the weekly The Sunday Service podcast. Here’s what the Marvel scribe had to share, all the while being careful to tiptoe around spoilers. Given that most, if not all of Marvel’s marketing resources are being drawn to next month’s Captain America: Civil War, we wouldn’t hold out hope for the studio to conjure up a full-length Doctor Strange trailer anytime soon. November is relatively far away, too, meaning the studio will want to keep a lid on much of the film’s secrets all throughout the summer. 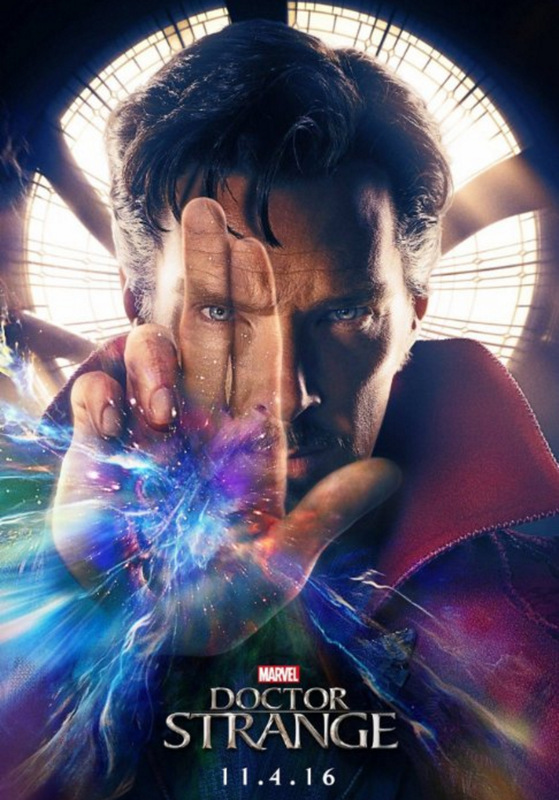 Also starring Chiwetel Ejiofur, Rachel McAdams, Michael Stuhlbarg, Mads Mikkelsen and Tilda Swinton as The Ancient One, look for Doctor Strange to conjure up wonderful weirdness in spades when Scott Derrickson’s peculiar origins tale opens on November 4.